ShopBot Tools, Inc., has recently launched a Kickstarter crowdfunding campaign to support development and distribution of its latest hardware innovation, the Handibot smart power tool. The Handibot Smart Power Tool is a portable robotic power tool designed to enhance creativity and productivity at construction and remodeling jobsites, in rapid prototyping, and in countless DIY projects. The Handibot tool features an App-Driven, one-button “Start;" it can be run from a smartphone or tablet, as well as from PC's. If you've heard of 3D printers, then think of the Handibot as a '3D Cutter' -- you can use the Handibot to cut, drill, and carve in wood, plastic, and aluminum with computer-controlled precision. The Kickstarter campaign will fund an initial production run of Handibot power tools by ShopBot, and also enable development of a web-based eco-system where anyone with ideas for apps can collaborate with app developers in an open source software and hardware environment. "One company can't possibly come up with all the interesting job apps that can be put to work with a Handibot tool," Ted Hall explains. "So we look to the crowd to think of apps for the tool and work together in developing them." See the campaign at handibot.com/fund. The 3rd Quebec Seeks Solutions Conference will be held in Québec, Canada on 5-6 November 2013. As we have already posted about, this conference is a place where concrete problems of small, medium, and large companies will be discussed to deepen the understanding of the issue and to seek potential solutions. The conference hosts have now published their call for papers to those who wish to submit to this event as an academic or a practitioner. Deadline for abstracts is June 28th so if you are interested, get the full call here ( Download Call for Paper - Seeking solutions summit). More information also on the official homepage. Kaustuv De Biswas is a TED Fellow (2011) and Co-founder/CEO at Sunglass.io, a cloud based 3D design platform to collect and deliver micro-innovations through a low barrier and ubiquitous channel for designers across the globe. His core expertise is in design computation and his PhD dissertation at the Massachusetts Institute of Technology investigates computational frameworks for large distributed systems and the economics of collaboration. Leveraging his expertise in technology, Kaustuv has previously been a consultant/advisor to several international architectural practices, and has been a research associate at Bentley Systems. Kaustuv has also taught numerous workshops and seminars in leading universities/schools such as MIT, Harvard, Architectural Association (London), Columbia, and Georgia Tech introducing advanced computational techniques. Following up on our last preview post in which we already geve away details about the keynote speakers ofthis year's MIT Smart Customization Seminar, here is some more information on who will be there on stage to share his expert knowledge with you. Jarmo Suominen conducts Mass Customization research at the Aalto University A! (the former University of Art & Design), Helsinki, where he is a professor and the director of Future Home Research Institute. He is studying the engagement process and customer behavior within the interaction with high-interest and high-involvements products and goods. By addressing the existing research paradigm from activity theory to behavioral sciences and product concept creation methodologies, Professor Suominen also develops further current design paradigms in architecture. In addition to his position at Aalto University, he is the owner of Suominen Architect and has won numerous prizes in architectural competitions in Finland an in Europe. Professor of Technological Innovation in the MIT Sloan School of Management, Professor in MIT's Engineering Systems Division. Eric von Hippel is a Professor of Management of Innovation and Engineering Systems at the MIT Sloan School of Management. His research discovers and explores patterns in the sources of innovation and develops new processes to improve the “fuzzy front end” of the innovation process—the end where ideas for breakthrough new products and services are developed. He is currently leading a major research project to discover how these user innovation communities work, and how and whether the same principles might extend to many areas of product and service development. In addition, von Hippel is working with governmental and academic colleagues in the Netherlands, Denmark, and the United Kingdom to develop new and modified governmental policies appropriate to the newly emerging innovation paradigm of user-centered innovation. Edward S. Boyden, Ph. D.
Ed Boyden is the Benesse Career Development Professor, and associate professor of biological engineering and brain and cognitive sciences, at the MIT Media Lab and the MIT McGovern Institute, respectively. He leads the Synthetic Neurobiology group, which develops tools for controlling and observing the dynamic circuits of the brain, and uses these neurotechnologies to understand how cognition and emotion arise from brain network operation, as well as to enable systematic repair of intractable brain disorders. He was named to the "Top 35 Innovators Under the Age of 35" by Technology Review in 2006, and to the "Top 20 Brains Under Age 40" by Discover magazine in 2008. He has received the NIH Director's New Innovator Award, the Society for Neuroscience Research Award for Innovation in Neuroscience, the NSF CAREER Award, the Paul Allen Distinguished Investigator Award, and the New York Stem Cell Robertson Investigator Award. In 2010, his work was recognized as the "Method of the Year" by the journal Nature Methods, and in 2011 he delivered a lecture on his lab's work at TED. Boyden received his PhD in neurosciences from Stanford University as a Hertz Fellow, where he discovered that the molecular mechanisms used to store a memory are determined by the content to be learned. Before that, he received three degrees in electrical engineering and physics from MIT. He has contributed to over 250 peer-reviewed papers, current or pending patents, and articles, and has given over 140 invited talks on his work. As promissed, here is some more information about this year's MIT Smart Customization Seminar. Today we can give details on our esteemed keynote speakers, the well known Joseph B. Pine II and Alex Pentland. Internationally acclaimed author, speaker and management adivser. A visiting Scholar with the Design Lab at MIT, he co-founded Strategic Horizons LLP to help businesses conceive and design new ways of adding value to their economic offerings. Professor Pentland is a pioneer in organizational engineering, mobile information systems, and computational social science. Pentland's research focus is on harnessing information flows and incentives within social networks, the big data revolution, and converting this technology into real-world ventures. And of course there will be many more experts sharing their knowledge. Just stay tuned for more details over the next days! Participation is obviously a key driver behind the open innovation concept. In this sense I would like to point all the machine-to-machine communication (M2M) enthusiasts amongst you (and everybody else of course!) to a very interesting idea contest that my department at RWTH Aachen co-hosts together with Deutsche Telekom, Deloitte, and Hyve. Find What You Like, Follow What You Love! To foster the development of ideas, innovation, and trends in the area of M2M* a consortium of four partners, Deloitte, Deutsche Telekom, HYVE and RWTH-TIM has launched the open innovation platform “ideabird.com”. The objective is to generate ideas and identify future trends in this growing area of the communication industry. The first contest is focusing on topics regarding finding and following things, persons and animals to make future life easier and more convenient. The contest intends to create awareness for the positive effects that M2M applications can have for life, work and society and to stimulate innovation across industries. By gathering opinions and ideas from a broad base of creative participants and challenging them with a scientific point of view, future fields of research within this area will be identified. The contest organizers will award prizes of USD 10,000.- to the three contestants with the best ideas and the invitation to an innovation workshop together with RWTH Aachen University and HYVE. In addition, participants get to share, cooperate and give/receive feedback on their ideas with some of the most creative people from around the globe, including a selection of acknowledged experts who are either members of the contest organizers or come from other external partner enterprises. After a short registration at the contest webpage you can submit your ideas for the “find & follow idea contest”. The community and a team of renowned experts explore, discuss, evaluate and subsequently develop those ideas together. At the end of the contest (submissions have to be in latest until April 10, 2012) a jury of experts from different fields and backgrounds will evaluate the submissions and name the winners of the contest. See the contest webpage for much more detailed information on the process and an open forum where submitted ideas and concepts can be viewed and discussed! * Machine-to-machine (M2M) communication refers to a technology that allows devices to communicate with each other. M2M is a future mega trend of the communication industry. M2M has multiple applications that currently exist, such as digital signage, telematics, or tracking & tracing.However, the numerous application areas for M2M solutions and services are yet to be developed or adopted by the market. This open innovation contest focuses on tracking and tracing of persons, animals, or goods. Potential solutions and services can be created based on two existing, ready-to-use technologies: location based services (locating the device within the mobile network (GSM)) on the one hand and GPS plus GSM on the other hand, which is using the satellite network for localization and the mobile network for information exchange. For more detailed information about the technology, continue reading "Technological Background". 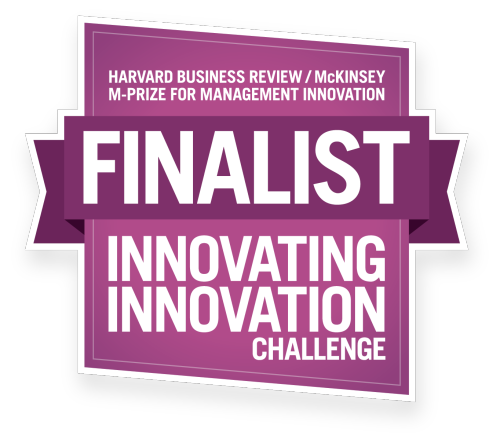 Featured Research: Is your company ready to benefit from an open innovation processes? Today I want to continue our little series on new papers dealing with one (or many) aspects of mass customization, open innovation and innovation management. In an act of shameless self promotion, we picked this short management article on some of the key requirements that can decide whether or not a company is ready to benefit open innovation. Increasing innovative capacity: is your company ready to benefit from open innovation processes? A company’s ability to innovate is key to its success. The strategic and systematic opening up of internal innovation processes to include external knowledge – in other words, open innovation – can result in significant competitive advantages. There is now a whole range of open innovation methods that complement traditional innovation management methods. While there is already considerable evidence of the potential that open innovation offers, many companies still have a comparatively closed innovation process, or are still in the process of transitioning to a more open approach. In order to exploit the potential of open innovation, the corresponding methods must be tightly integrated into the Innovation management toolbox. Moreover, open innovation calls for a shift in strategic orientation, the organization and companies’ culture. These requirements are not dissimilar to those of traditional innovation management. Open innovation also needs to be planned, managed, monitored and formalized. In this paper, we have presented a tool that enables companies to assess their readiness for open innovation as a basis for defining targeted internal measures aimed at promoting the benefits of open innovation. In our experience, dealing with external knowledge and external players poses another major challenges for many companies. In practice, the application of open innovation tools does not always lead to the desired results, and the potential theoretically possible is not fully exploited. A company’s readiness to assimilate external information is a key challenge in this regard. 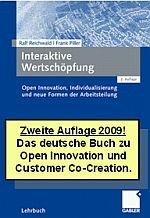 In this paper, my fellow colleague at RWTH Aachen, Philipp Wagner and myself present an audit aimed at helping companies assess their readiness for open innovation and, where necessary, optimize structures and processes. The articles comments on the factors that determine a company’s actual situation with regard to specific criteria and, by comparing this to a target situation, endeavors to determine the company’s readiness to utilize open innovation successfully and derive suggestions for action from these findings. And a disclaimer: In the present state, our open innovation audit still is a really customized and lengthy consulting project that we are happy to offer to interested companies. But it IT IS NOT A QUICK SCALE that you just can fillout online and then get your readiness score. We are working on this, too, but at the present stage, we were not satisfied with the results of such a self assessment. 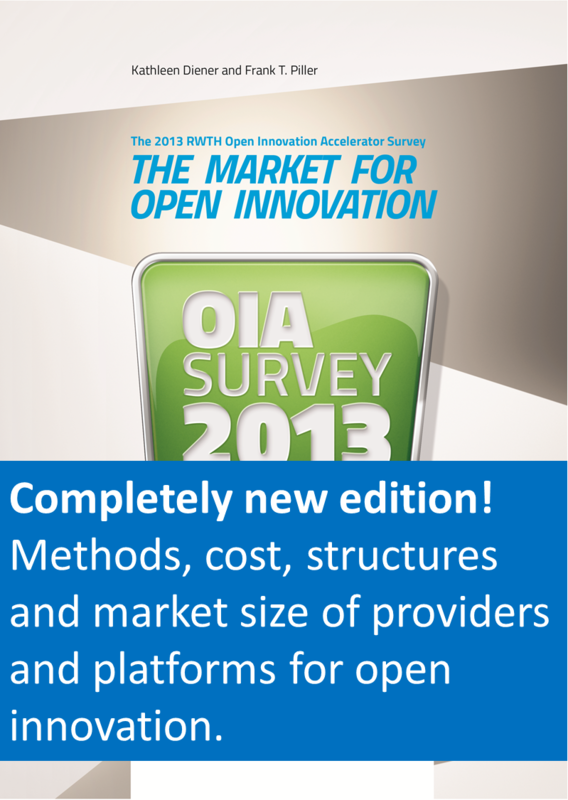 However, such a self assessment is available in form of the Open Innovation Assessment by NineSigma. Have a look there. This is a nice illustration and complementation to our paper. Did you miss the MCPC 2011 conference? It was a terrific event, and we really got great feedback and comments on the conference. Check here for some conference pictures! Richard Henderson at UC Berkeley has been very helpful in creating the best conference documentation we ever had! On a special conference website, the full conference program is now available with links to the slides of the presentations, full papers (when available), and many full videos of the plenary and keynote presentations (for Day 1 and 2). 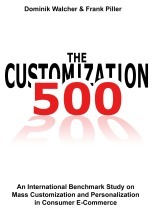 Bridging Mass Customization & Open Innovation. Proceedings of the MCPC 2011 Conference -- including an access code to all presentations, papers, and videos. Edited by Henry Chesbrough and Frank Piller. Published by Lulu, Inc. (Raleigh, NC), 2012. For detailed information about presentations and speakers please also refer to the conference proceedings flyer! *Note: Why do we sell these proceedings and do not provide open access? First, this would have been unfair to all people participating at the conference and paying the full fee there. Second, organizing such a conference is a big effort and investment, and we still need the proceeds from this publication to cover our cost. Third, many authors and presenters do not want to have their papers and presentations openly on the web, but agreed to a controlled publication only.